Any horror movie fan knows the score is an essential component of the film. Can anyone picture watching Psycho without Bernard’s Herrmann’s string score, Halloween without the music of John Carpenter, or more recently It Follows without the electronic sounds of Disasterpeace (see related story HERE). Over the past few years, the resurgence of vinyl has given rise to a number of production companies that specialize in releasing horror soundtracks solely on vinyl. These companies include Mondo/Death Waltz Records, One Way Static Records, and Waxwork Records, among others. Unlike many soundtracks that were released in the past, these companies spend an extraordinary amount of time on the sound quality and mastering, as well as the artwork and packaging, making them a must have for genre fans, vinyl collectors, and people looking to hear great music that may not ordinarily see the light of day!!! This month, Waxwork Records is celebrating its second anniversary. Their first release was the soundtrack to Re-Animator by composer Richard Howard Band in July 2013 and, since then, they have released 10 other soundtracks, including Day of the Dead (September 2013), Rosemary’s Baby (January 2014), Creepshow (April 2014), Chopping Mall (May 2014), Friday the 13th (September 2014), Trick ‘r Treat (October 2014), Phase IV (March 2015), Starry Eyes (May 2015), Friday the 13th Part 2 (July 2015) and Nightbreed (July 2015). We recently caught up with its founder and CEO, Kevin Bergeron, who graciously took time out of his busy schedule to do a Q&A with us. In our interview, he discussed why he founded Waxwork Records, how titles are chosen, the meticulous amount of detail that goes into creating each record, and a sneak peak of what future releases are in the pipeline, including additional Friday the 13th titles and The Babadook. 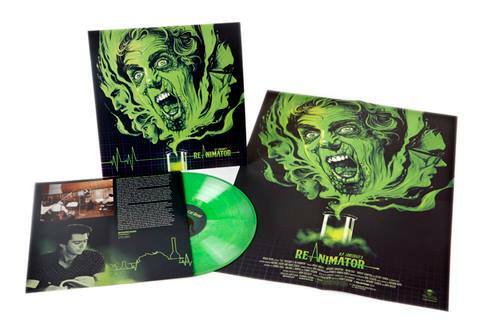 Richard Howard Band’s soundtrack to Re-Animator was the first album released on vinyl by Waxwork Records in June 2013. The company is celebrating its 2nd anniversary this month. Limelight Magazine (LM): Your label was launched in 2013 and is celebrating its second anniversary this month. How did the decision to start a record label focusing on vinyl horror movie soundtracks come about? Kevin Bergeron (Bergeron): I already had experience recording music and pressing records. I’m really fascinated by the process. I’m also a massive fan of horror movies, but also of just classic cinema in general. I decided to marry the two things I’m most interested in, vinyl and horror. I had just come off of a tour in Cuba with my old band, and it was quite evident that the break up was coming. I was toying with the idea of starting a label. It was this really special time, and a really organic thing. There was a start-up period where no one knew about us for six months, and I really enjoyed that time. Just getting it rolling. I love brainstorming and diving into new projects. LM: How much of an impact did the resurgence of vinyl sales across the country have on the decision to form Waxwork Records? Bergeron: When I started the label, I only had a vague notion as to the resurgence of vinyl and record sales numbers. I was honestly very nervous that we wouldn’t sell many records. LM: You’ve now released 11 soundtracks on vinyl since July 2013. Bergeron: How do you go about selecting titles to release? We are pretty selective with the titles we seek out. From an outsider looking in, it would be easy to peg Waxwork as a label that’s all over the map because we will release a B-Movie, and then the next month we’ll release something in the Criterion Collection. If we like it, and the music is interesting, we’ll go for it. 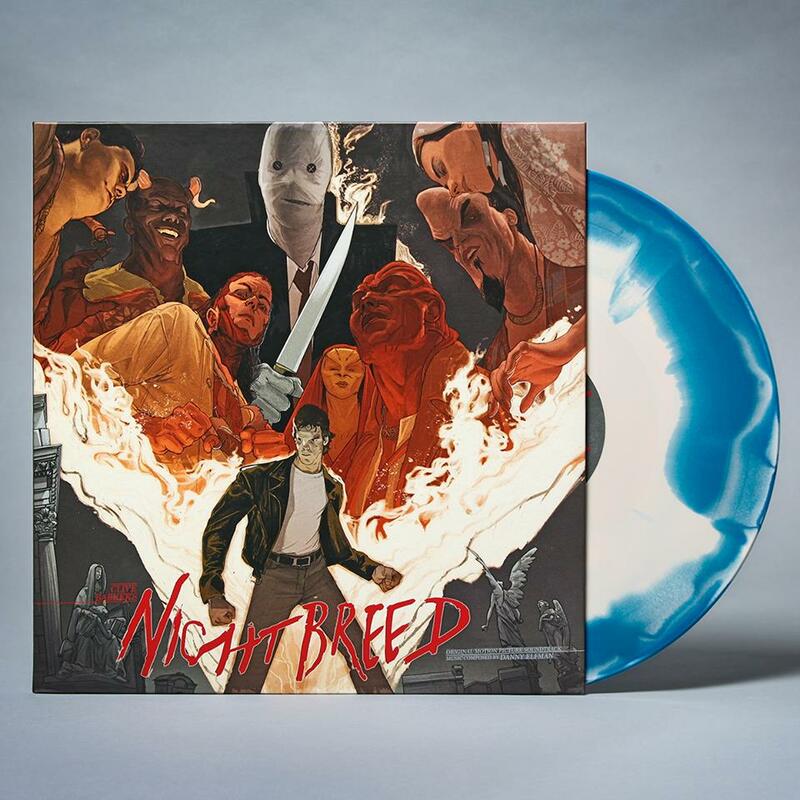 Danny Elfman’s score to Clive Barker’s Nightbreed was Waxwork Records most recent release on vinyl. The company has released over 11 albums over the past two years. LM: Mondo Tees/Death Waltz also specialize in releasing horror movie soundtracks on vinyl. Do you consult with them so you’re not trying to license the same titles? Bergeron: No. Although, we’ve done a trade with Mondo before, and we may co-release something in the future, but that’s all in its infancy right now. It could be fun. LM: Part of the reason for the popularity of your catalog has a lot to do with the meticulous detail that goes into the sound quality. Can you discuss the process for how these records come to be? Bergeron: The Waxwork standard is seeking out original master tapes as our source material. Often times, these original masters are thought to be lost, or destroyed. So, it’s not always easy. We located the masters for Rosemary’s Baby in Australia and the masters for Creepshow in an attic in Pittsburgh. We really go for it and play detective. So, we get those original masters, and then transfer them, mix them down, and master for vinyl. LM: How much involvement does the composer have on the finished product? Bergeron: Composers are usually very cool and give us the reigns to do our thing with the music. They’ll sometimes have specific requests, but nothing major. No one breaths down our backs, surprisingly. I feel like I’d be that way if the tables were turned. LM: Another reason why genre fans love your releases is the collectible aspect of them. Most of the titles come out in limited edition variants and include breathtaking artwork and inserts. Why is the visual aspect of your releases equally as important as the sound quality? Bergeron: Vinyl gives you a playground to do a lot of really great things visually. With CD’s and especially MP3’s you don’t get any of that. So, we like to go crazy with vinyl colors, and commission new artwork from prominent artists that we feel can tackle the film and its score, but through their artwork. 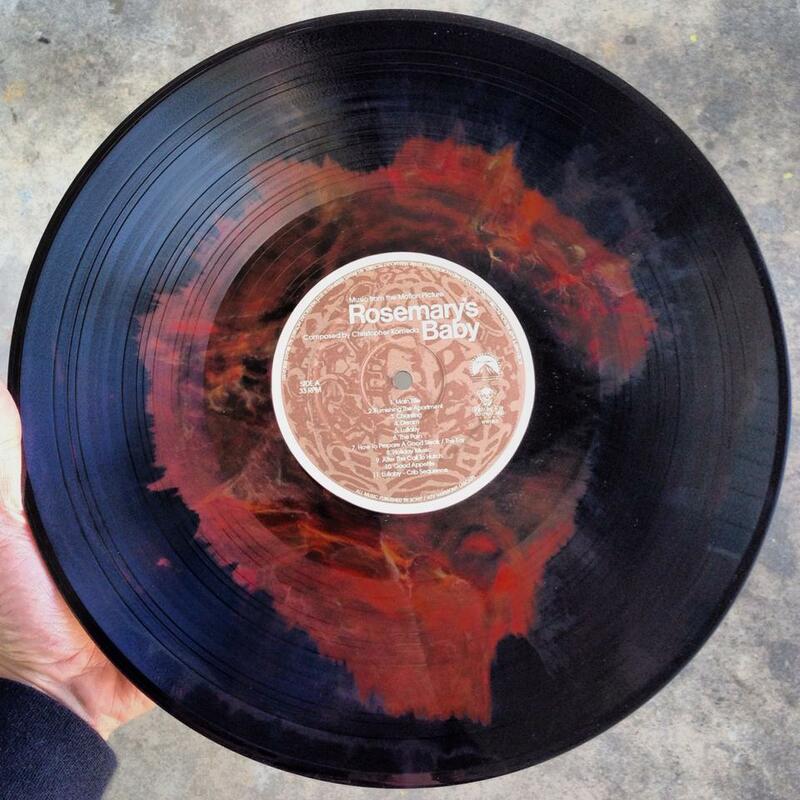 A limited batch of black and burgundy haze variants were randomly inserted into orders for the Waxwork Records release of Rosemary’s Baby on vinyl. LM: How are the artists chosen to design the artwork for your releases? Bergeron: We discuss this in pretty great depth. “Who can nail something like Rosemary’s Baby? Friday the 13th? The Warriors?” You can’t stick Gary Pullin on something like Phase IV or Jay Shaw on something like Chopping Mall. That might actually be really interesting, though. LM: Are all of your releases limited runs? What is the reasoning behind the limited availability? Bergeron: Yes. Our releases are all limited. We don’t press tens of thousands of units. Not yet. I like giving people what they want though, so if there are people out there that want this music, we will keep re-pressing records. I don’t like the idea of keeping things so limited that honest to goodness fans cannot have it. I also don’t like the idea of denying anyone art or music. All releases on Waxwork Records are limited editions. LM: A few of your releases (i.e. Day of the Dead, Creepshow, Friday the 13th and Trick ‘r Treat) were previously released on CD by La-La Land Records which is based out of Burbank, CA. Are they ever consulted on any of your releases? Bergeron: La La Land has a few of the same titles in their catalog as ours. It just turned out that way. We had questions when we were getting started and they were very helpful. LM: Speaking of Friday the 13th, Waxwork released the soundtracks to the original film and its first sequel. 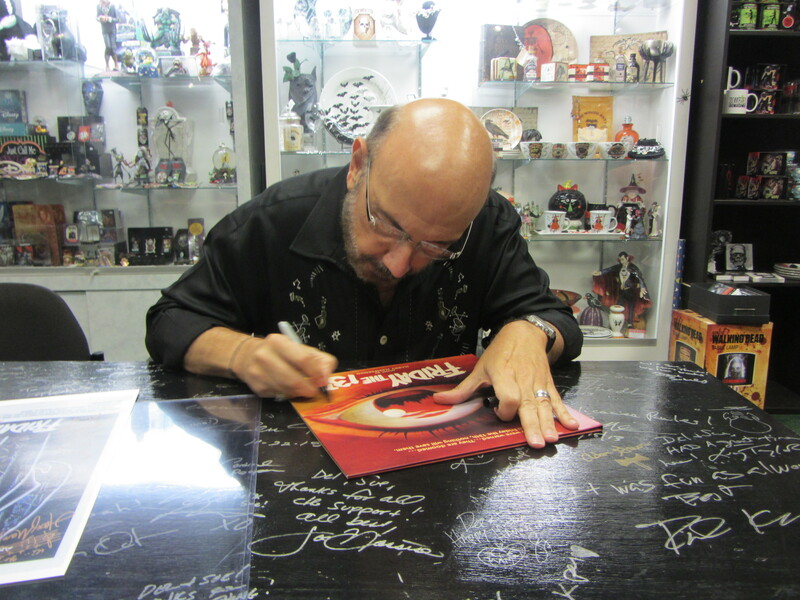 We were at composer Harry Manfredini’s signing of Friday the 13th at Dark Delicacies in Burbank last year and he was thrilled to have it released on vinyl. Since he also composed the music to the next four sequels in the franchise, can we expect future Friday the 13th releases? Bergeron: We are releasing all of the Friday the 13th scores that Harry Manfredini composed. He’s been great to work with. He’s really into what we’re doing and it feels good to have him 100 percent on board with what we are trying to accomplish. LM: You also have a subscription service. Can you elaborate on that aspect of your business for those who may not be familiar with it? Bergeron: The subscription is fairly limited. You sign up when it goes live on our website, and that guarantees you five releases on vinyl from Waxwork throughout that year. Sometimes a digital download is offered depending on the title. The subscribers get special, limited colored vinyl that isn’t available via retail. You get 18 percent off anything Waxwork has available for sale, and that’s a pretty good deal. I don’t know of another label that offers that much of discount with a subscription service. You also get cool merchandise mailed to you randomly throughout the year. 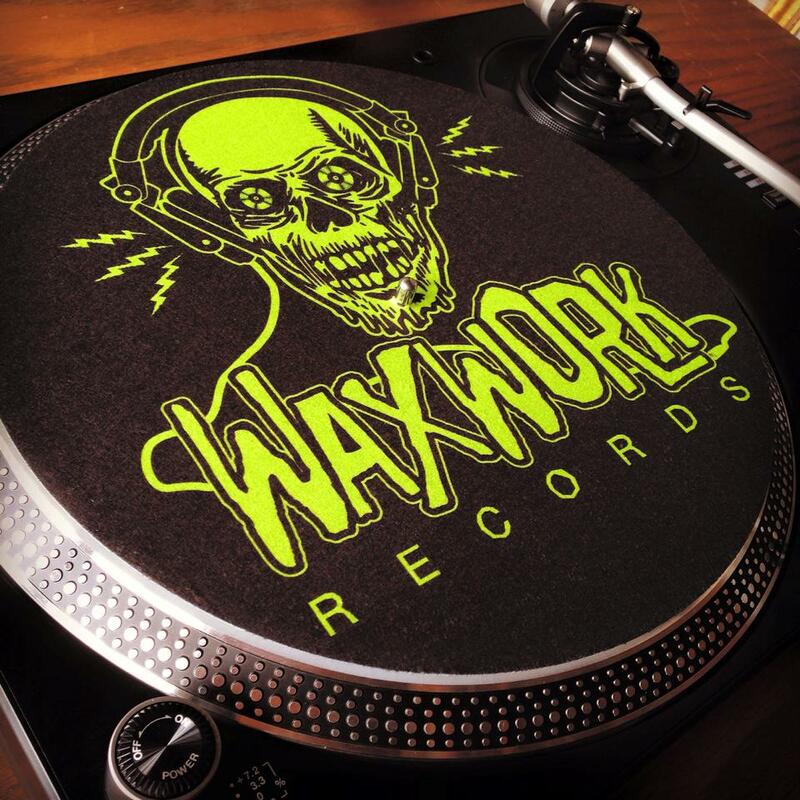 Like, you’ll randomly get a Waxwork Records slip-mat, stickers, or patches delivered with one of your records. Exclusive stuff! You also don’t have to worry about missing out on a record by it selling out before you have the chance to get a copy. You’re guaranteed that record (if it’s part of the subscription) being delivered to your doorstep. No refreshing our website non-stop on pre-order days. Shipping is all factored in already for subscribers. It’s just very convenient. Waxwork Records slip-mats are some of the goodies you may receive by signing up for the company’s subscription service. LM: About 10 weeks ago you teased the release of Jennifer Kent’s phenomenal film The Babadook. Is that still in the pipeline and, if so, when can we expect a release date? Bergeron: Yep, that’s happening. That’s coming out in 2016. We have some cool stuff we’re planning for the packaging. LM: You’ve also had a few posts on your Facebook page about another great movie We Are Still Here that was released earlier this year. Can you reveal if this is another title in the pipeline? Bergeron: I can’t give out any details, yet. But We Are Still Here is great, and the score is really atmospheric and interesting. LM: Thanks for taking the time to answer our questions. You’re doing an amazing job and it’s so exciting every time a new title is announced and released. Is there anything else you’d like to add? Bergeron: Thank you. Really. We love doing this. It’s still crazy to us how much of an impact our label has on fans of vinyl and movies. 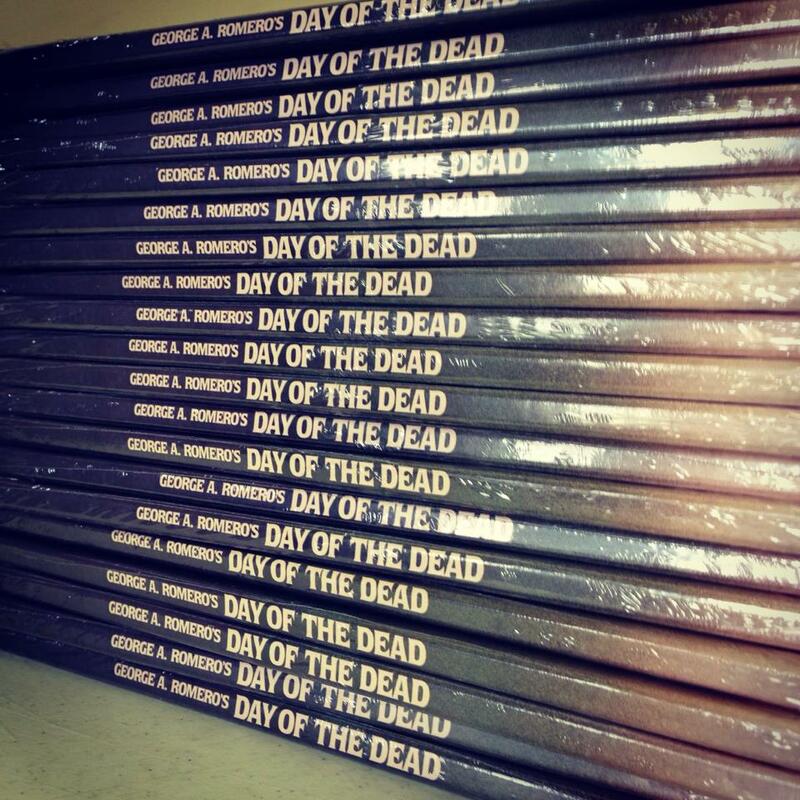 For more information about Waxwork Records or to make a purchase, visit http://www.waxworkrecords.com. Previous PostThe Fixx to perform the hits with classic lineup at the Narrows CenterNext PostPhoebe Legere bringing Cajun music and more to Orleans, Mass.